MUTANT PRO 100 is a protein shake that's so amazingly delicious you will want to try all SEVEN mouth-watering, awe-inspiring, flat out gorgeously gourmet flavors! Each 100% gourmet flavor is thick, rich and extra creamy, with absolutely no chalky or bitter after taste. They go down smooth & easy and will rock your taste buds! Each scoop of MUTANT PRO 100 feeds your body with 25 grams of pure whey protein from 3 whey protein sources (concentrate, isolate and hydrolyzed whey proteins). No "proprietary blend" and no hidden ingredients. Just high protein from 100% whey - no compromise, no nonsense - and now ABSOLUTELY 100% GOURMET! To Use: Add 1 level scoop to 6-8 fl oz (180-240mL) of cold water, shake vigorously for 10-20 seconds, and slam it back! 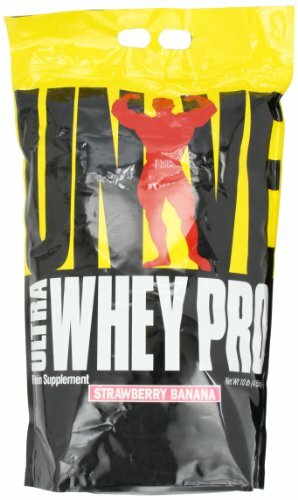 Ultra Whey Pro provides an excellent and complete source of only the highest quality whey proteins. 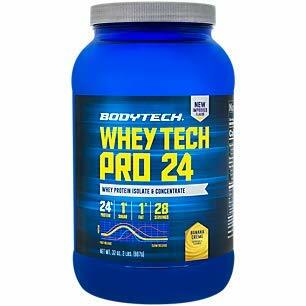 Every scoop delivers 22 grams of protein derived from our proprietary Pure Whey protein blend, a unique matrix comprised of ultrafiltered whey isolates, peptide-rich whey hydrolysates, and whey concentrate. For maximum biological value (BV), Ultra Whey Pro has been ultrafiltrated and processed at the lowest possible temperatures to prevent the denaturing of the protein. Every scoop of Ultra Whey Pro is power packed with biologically active micro-fractions, delivering a full range of amino acids to feed your hard working muscles. And not only does Ultra Whey Pro deliver on quality, it also delivers on taste. The specialized Pure Whey protein blend in Ultra Whey Pro has been instantized to dissolve quickly into your favorite beverage of choice. Using a spoon, shaker, or blender, you can quickly mix up a great tasting protein shake. 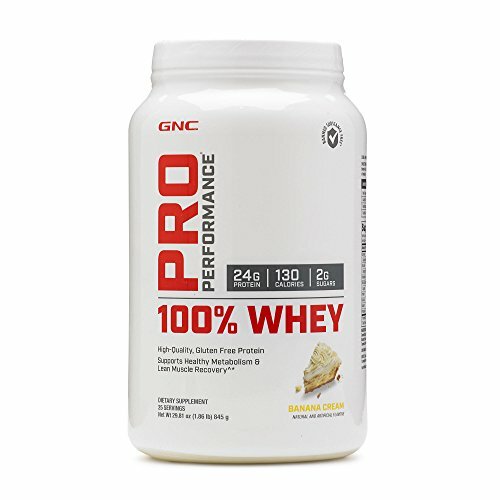 GNC Pro Performance 100 Whey Protein - Banana Cream 1.86 lbs. 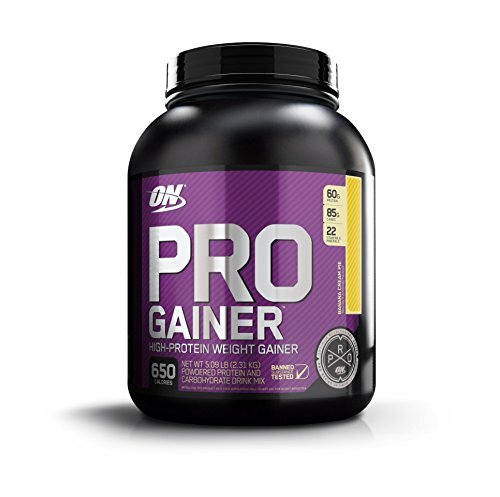 High-Quality, Gluten Free Protein Supports Healthy Metabolism & Lean Muscle Recovery Pro Performance Results As Your Life Becomes Increasingly Hectic, Making Healthy Decisions That Steer You Toward Wellness Can Be Difficult. At Any Age, It Is A Challenge To Maintain Adequate Protein Levels In Your Diet. As The Basic Kick-Starter For Lean Muscle Repair, 100% Whey Helps You Achieve Maximum Wellness And Athletic Performance By Supporting A Healthy Metabolism And Lean Muscle. Following Any Level Of Exercise, Amino Acids Are Needed For Growth, Repair And Maintenance Of Muscles. 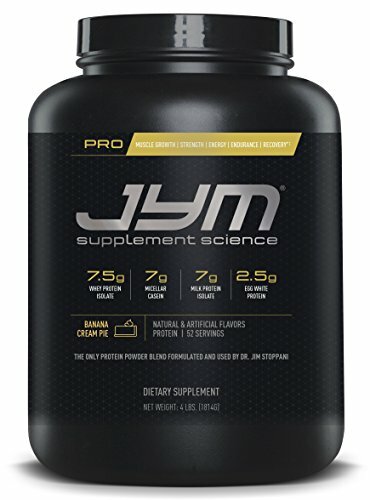 This Formula Is Packed With 24 Grams Of High-Quality Protein, Containing All 9 Essential Amino Acids, That Digest Quickly And Support Your Wellness And Performance Goals. Pro Performance Quality 100% Whey Is Tested And Certified Banned Substance Free. It Is Gluten Free, Tastes Great And Mixes Easily With A Simple Stir, Shake Or Blend. 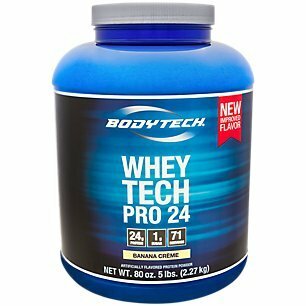 Want more Pro Whey Banana similar ideas? Try to explore these searches: Bagger Assembly, Silver Bookcase Cabinet, and Mens Bonehead Fishing Shirt.